Crispy on the outside, flavorful hot salmon on the inside, served with some zesty sauce (a little mayo mixed with a little sriracha), and a salad. Next time I’m going to try baking them and see how they turn out! I’m always making a sandwich, because I’m nuts for them. For the last few weeks, cucumber sandwiches have been my favorite. This sandwich included toasted sourdough, a spread of mayo, sliced red onion, arugula, cucumber, salt and pepper. I also really like making an open-faced sandwich with a little chive cream cheese and a layer of sliced cucumber. Delicious! 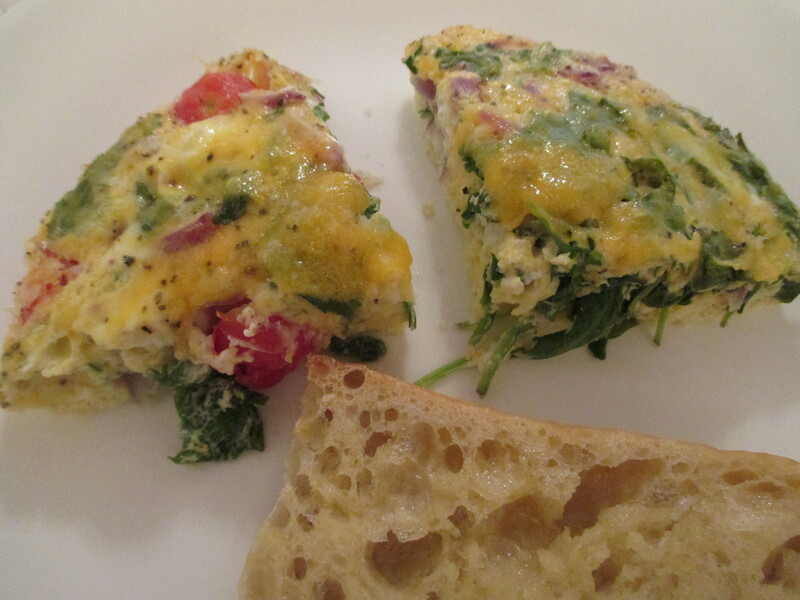 I also whipped up a frittata (though frittata means ‘fried’ and mine was baked). 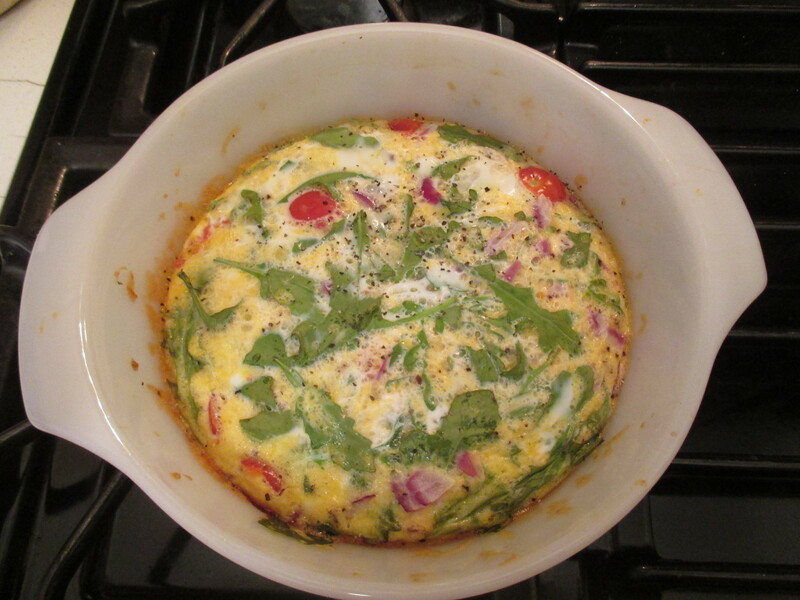 Some eggs, some cheese, some veggies, voila! 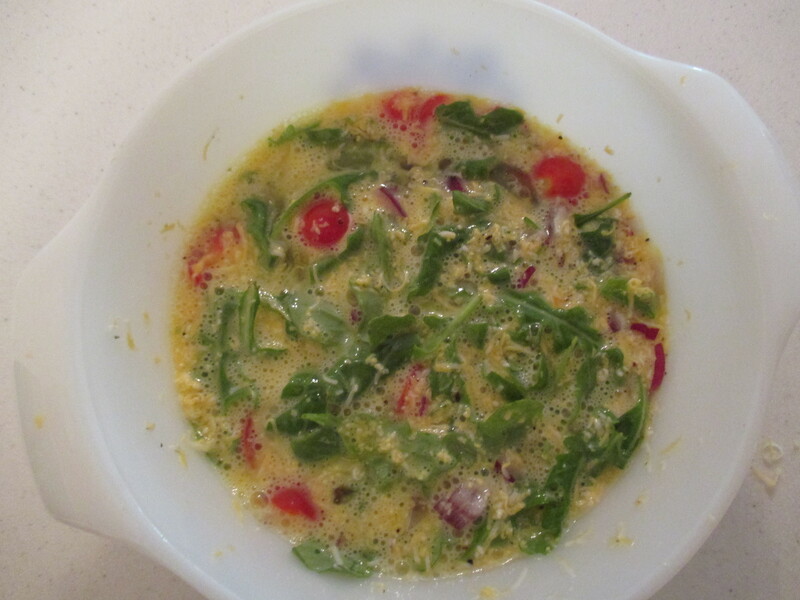 Fresh and simple meals are always a delight, especially when they are colorful! 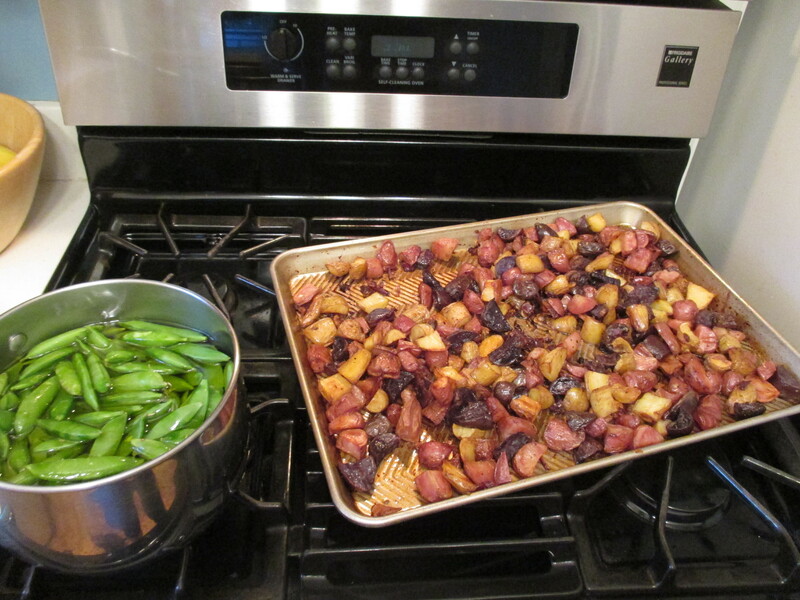 I also roasted some fingerling potatoes and steamed up some pea pods and had a little feast. There’s lots of veggie love in my kitchen! As the season is starting to change, I’m already leaning toward cool weather fare. I roasted a very large acorn squash last week (and ate the entire thing myself) and also baked up a zucchini casserole. Nothing like roasted veggies and hot casseroles to ward off a chill! What’s cooking in your kitchen? 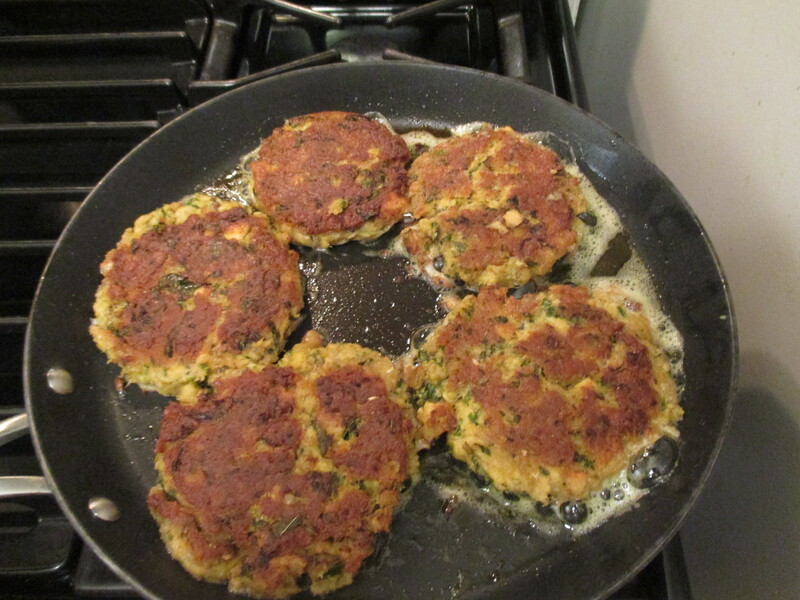 Have you whipped up anything that is traditional to your family lately (like my salmon cakes)? This entry was posted in Food, Fun & Friends and tagged American Cuisine, Cooking, Eating, Fall Food, Food, Kitchen, Meals, Salmon Cakes, Vegetables, Vegetarian, Veggies. Bookmark the permalink. Same here, Laurette! 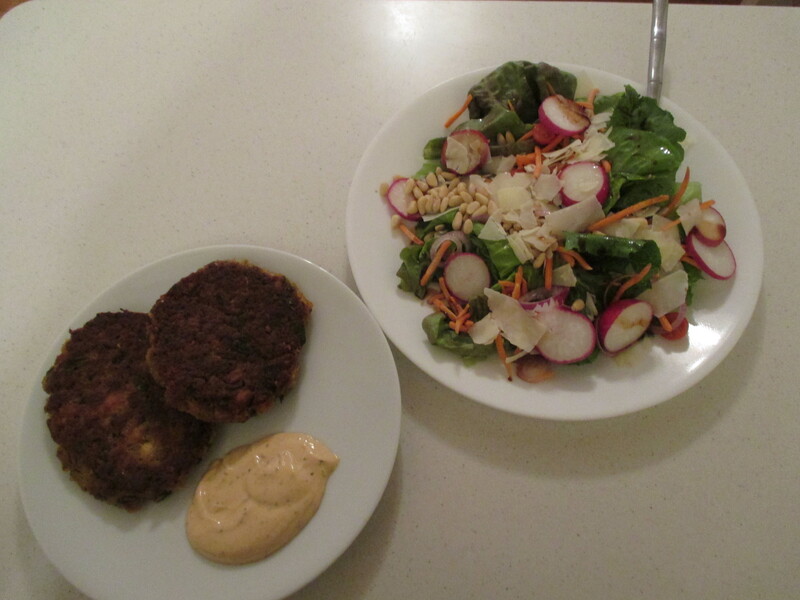 The patties (and everything else) look so delicious. And now I know what sriracha is, I’d never heard of it before. I’ve never been able to handle spicy food, but when my folks encouraged me to try a few drops on pizza, there was no going back! If you haven’t tried it, I hope you do. Sriracha is delicious!